Bag It is a story told by Jeb Berrier, a self-proclaimed “average American guy” who makes it clear early on that he is not your traditional "tree hugger." However, after contemplating the immense waste of plastic products, he makes a pledge to stop using plastic bags. His girlfriend joins him in the challenge and they quickly launch into investigating the plastic industry as a whole, answering questions about what plastic is, how it works, where it goes, how and if it is recycled, and how it affects our health. While it is done in an animated manner, the movie is chock-full of terrifying statistics. Annually, we use 500 billion plastic bags, which are the single most pervasive part of ocean litter. Plastic bags are marketed as “single use disposable;” yet, they are constructed with petroleum. Why on earth do we make something we are going to use for a few minutes out of a material that will last forever? The simple and scary answer is money--it is much more profitable to pollute the earth than it is to conserve it. Plastic water bottle consumption is at an all time high--17 million barrels of oil are burned through to create the plastic bottles used in the US every year.  As you have probably picked up, we are big about reducing ocean pollution at Fair Harbor. The documentary came out in 2010 and opened the eyes of millions to the truth behind plastics and recycling, the consequences of blind consumption, and the deplorable lobbying of corporations to block greener legislation. The result was a flurry of litigation and an uptick in grassroots movements and community awareness, which certainly had an effect in several states. In 2014, California became the first state to enact legislation imposing a statewide ban on single-use plastic bags at large retail stores. Between 2015 and 2016 at least 77 bills have been proposed by 23 states regarding the regulation of plastic bags in retail settings. Bag It does not supply the answer, but it certainly provides direction towards a more sustainable future and a cleaner planet for the next generation, all while creating a platform for people to become more aware of the plastic problem.